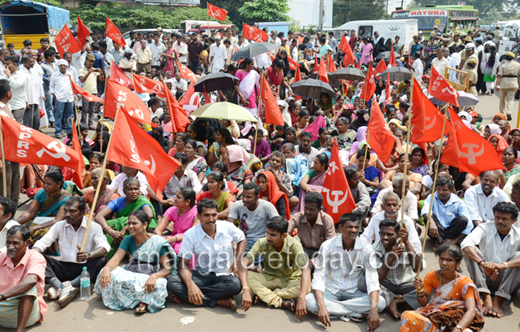 The dharna was organised to demand house sites for the poor, regularisation of lands, rights over Kumki land and title deeds for those who have been living in encroached land in forest areas. 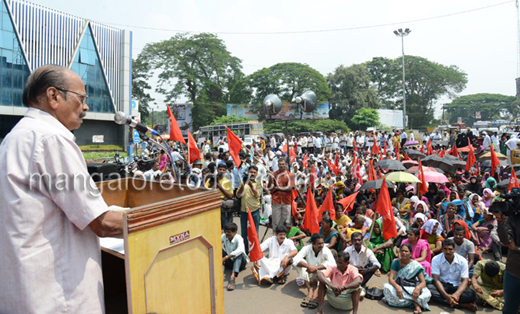 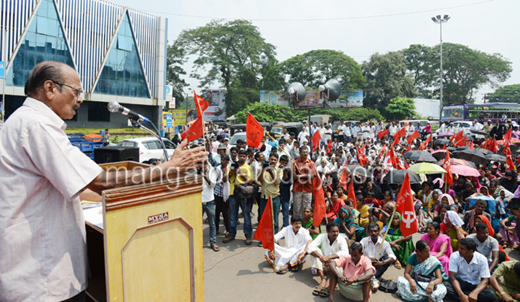 The protestors also opposed eviction of poor farmers cultivating in government lands. 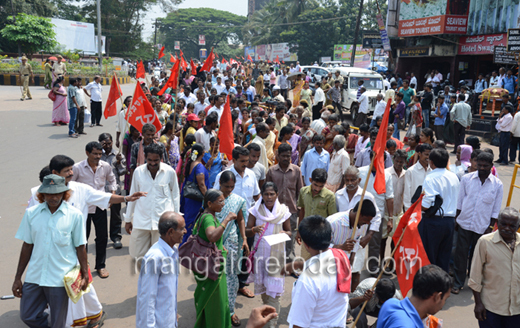 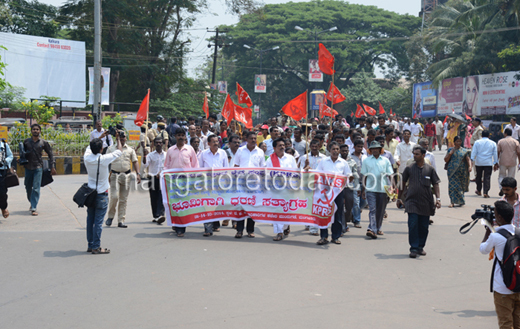 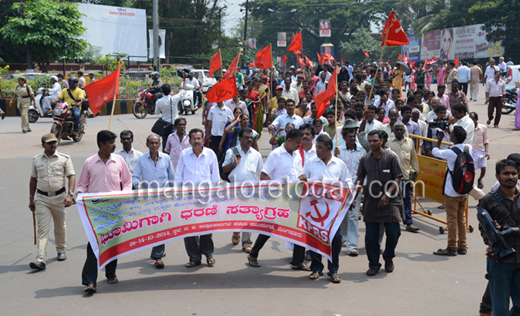 The protest was organised as part of a state wide movement organised by the Raitha Sangha. 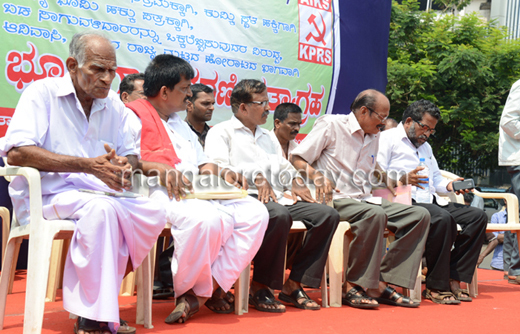 Several leaders including KR Sriyan, Sunil Kumar Bajal, Vasanth Achari and others addressed the gathering.